I am an engineer with 2 years of work experience in technology at Infosys after which I did an MBA in Finance (CAT Percentile 90). Post my MBA, I have worked in M&A (Corporate Finance) roles at KPMG, Accenture, Bank of America (Commercial Banking). 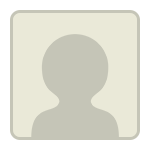 I am currently working at a relatively lesser know boutique valuations company. Total experience - 5 years post MBA. I have cleared CFA Level 2 and FRM Part 2. I am yet to write GMAT. I want to get an estimate as to how much I need to score to get into NUS, NTU, Insead, and others in the same bracket. Have you done any studying for the GMAT yet or are you just starting out? If you're just beginning your studies, then it would be a good idea to take a FULL-LENGTH practice CAT Test; you can take 2 for free at www.mba.com (and they come with some additional practice materials). If you want to do a little studying first, so that you can familiarize yourself with the basic content and question types, then that's okay - but you shouldn't wait too long to take that initial CAT. That score will give us a good sense of your natural strengths and weaknesses and will help provide a basis for comparison as you continue to study. A FULL CAT takes about 3.5 hours to complete, so make sure that you've set aside enough time to take it in one sitting. Once you have those scores, you should report back here and we can come up with a study plan. You can get an idea about the scores required by top business schools from this link – Top bschool scores. As b-schools consider many other factors along with your GMAT score, an admission consultant will be best equipped to suggest the precise score that will be required for your profile. After you have identified the target score the next impotent step is to create a study plan. To get started you can use the Personalized Study Planner and create a plan in line with your target score, strengths and weaknesses. 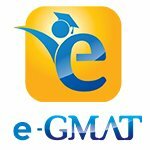 If you want to discuss the preparation strategy further feel free to write to us a support@e-gmat.com, referencing this post. First off, I agree that since you are asking an admissions-based question, you should reach out to one of the many admissions consultants here for some expert advice. Regarding your GMAT goal score, do you know the average GMAT scores at the schools to which you plan to apply? In any case, since you are just starting out, the first thing you need to do is take an official MBA.com practice exam, so we can see your baseline score. Once you complete the practice exam, feel free to reach back out here, and I can provide some further advice. You also may find it helpful to read the following articles: How to Score a 700+ on the GMAT — A Mini Guide for Success and How Long Should I Study for the GMAT? you have a total of 7 years' experience, which is quite substantial, and it should place you in the right spot with the b-schools you have mentioned above. Obviously, they will be equally interested in knowing the quality of your work experience, the achievements and impact you have made, your career progress and your leadership potential. You seem to have changed quite a few companies, seems like a job change every 1.5 years. For the applications, it would e important to get into the details on this. Consider answering these questions:- what led to these job changes, how did you grow through them, what direction did your career take and how have your experiences brought you to the point where you need a second MBA? Other than your work profile, what do you do for your personal development? Are you part of any volunteering initiatives? 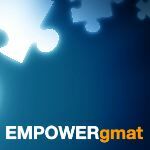 There isn't really a magic GMAT number. In general though, Indians easily score 20-30 points above a given school's average - so think on those lines as a general benchmark. The CFA will certainly add value to your subject line. Tends to be more for more junior candidates though. FRM - not super likely; plus it doesn't look like you've done any work in the risk space either. For INSEAD, international experience matters. Have you had any? From the list, it looks like you are not targeting US programs - make sure you research clearly and target the right programs. The average GMAT score for the full time at NUS is around 670, I'm guessing it's similar to slightly less at NTU since NUS is higher ranked. INSEAD's average GMAT is closer to 710, and I'm not sure if its an even distribution across both campuses. To be competitive at all schools, I would shoot for 700-720. Excluding INSEAD, a 670-690 should be a good starting point for the Singaporean schools, but again, your application will come down to much more than your GMAT. You have a wide range of experience and deciding how to properly "frame" your story is the most crucial part! For INSEAD, international exposure matters. Have you had any? From the list, it looks like you are not targeting US programs - make sure you research clearly and target the right programs. I have done a little research on Insead myself and have spoken to one of their admissions consultant. What Insead wants is someone who has had 'international exposure' rather than international experience. It is thus possible for people to get into Insead without direct international experience.